The resilience of France’s non-life insurance sector to recent adverse weather events is mostly a result of the country’s natural catastrophe scheme, says A.M. Best. Global financial services ratings agency, A.M. Best has maintained its stable outlook on the french non-life insurance sector, supported by stable but challenging market conditions, the consistent resilience of companies against a series of headwinds, and modest, but regular price gains in core business lines. In spite of challenging, competitive market dynamics, the French non-life market recorded annual premium growth in 2018. The competitive landscape has pressured firms’ underwriting profits, and over the last decade, A.M. Best notes that the sector’s combined ratio has hovered around the 100% mark. Albeit minimally, the sector has remained profitable during this time, and despite the highly competitive marketplace, the ratings agency expects this trend to continue in the short term. During 2018, France was hit by a number of adverse weather events, including a series of damaging storms in May and June. 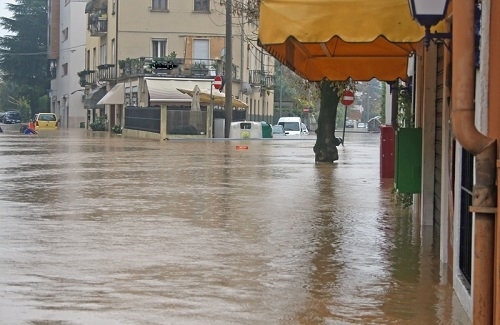 According to A.M. Best, non-life insurers in the region showed resilience to the adverse weather events of 2018, largely as a result of the national natural catastrophe scheme, which, the french government is expected to review in 2019 in response to proposed reforms from state-backed reinsurer CCR. “This reform, expected to be tabled by summer 2019, is likely to focus on the mechanics of the deductibles built into the regime rather than overhauling the role of the state and of CCR in the natural catastrophe reinsurance scheme,” explains A.M. Best. The scheme is designed to ensure all french citizens, businesses and territorial municipalities receive adequate compensation, at affordable rates, in the event of damage caused by a natural disaster. Under the natural disaster compensation scheme, CCR provides, upon the request of the insurer, unlimited state-backed reinsurance protection against natural disasters arising in France. A.M. Best highlights that this scheme offers the advantage of an unlimited state guarantee, while at the same time protecting the market from performance and balance sheet volatility that is inherent with peak exposures.